Earlier in the memorial service the Color Guard conducted a Wreath Laying and Grave Marking at Col. Ledyard’s gravesite located nearby Fort Griswold. 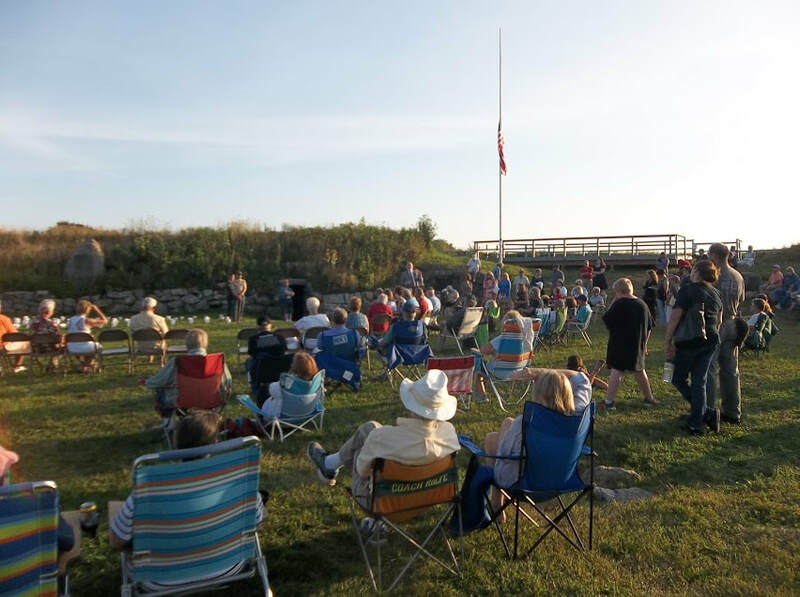 Ceremonies of the day included the reading, by designated audience members, of the 88 names of the slain defenders of Fort Griswold. The Color Guard also placed a wreath, carried by Compatriot Day of Florida, FLSSAR, inside the fort at the location where Col. Ledyard died. 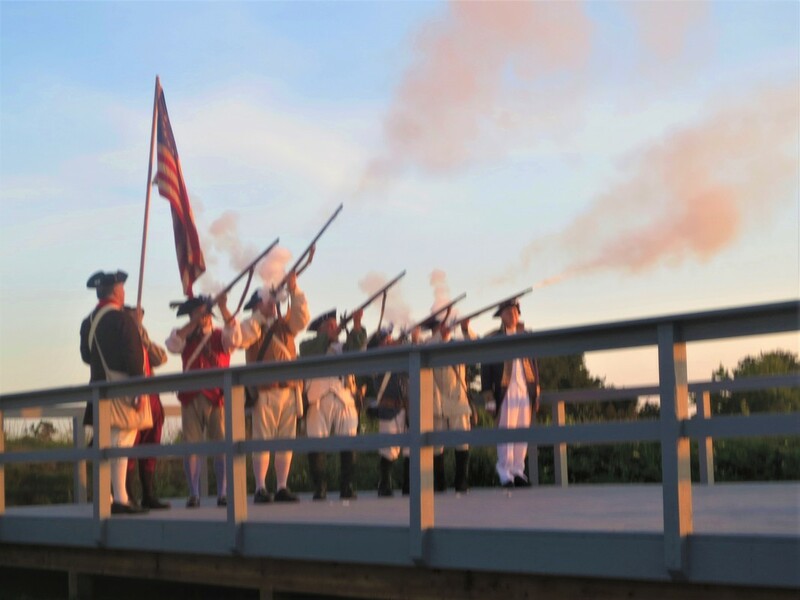 The dedication of a new viewing platform that was installed by the friends of Fort Griswold was well received. The Battle of Groton heights is a NSSAR Annual event. 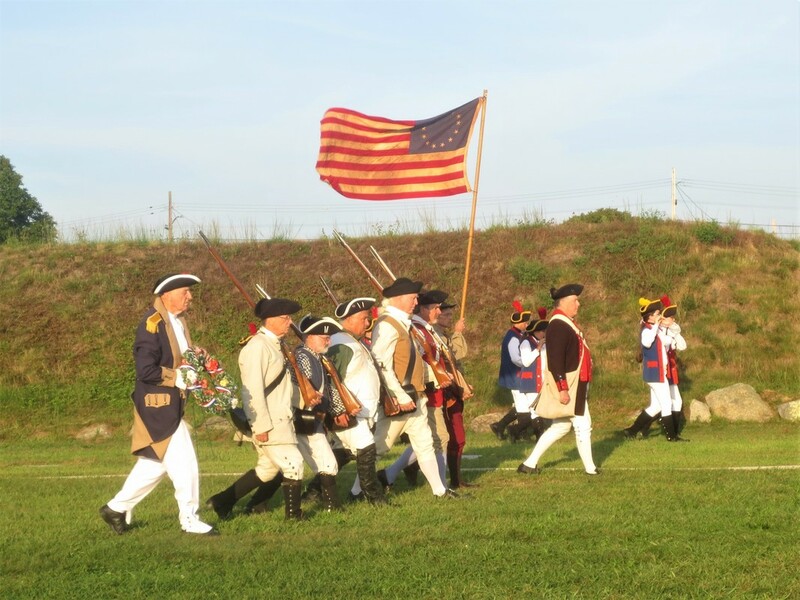 It is was hosted by the Friends of Fort Griswold and the Color Guard of the Connecticut Line, CTSSAR. Attendees waiting for program, Ribbon Cutting and Dedication of the new Viewing Platform. 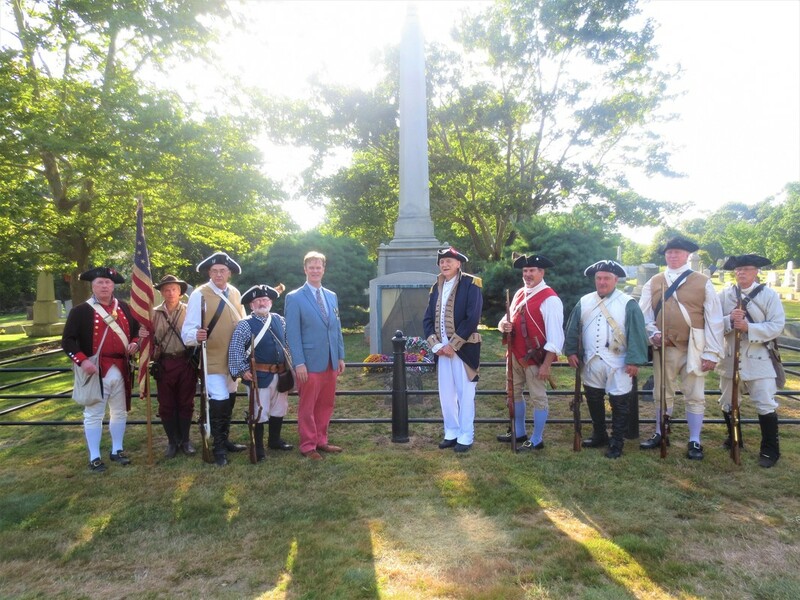 L - R: Shows Color Guard at Col. Ledyard Grave Marking and Wreath Laying. Pictured Left to Right. Col. Dave Perkins - Commander, Tyler Smith, Harry Clarke, Dave Packard, Damien Cregeau – CT SAR President, Charlie Day - FLSSAR Color Guard Member, Derek Brockhoff, Mike Chuckta, Jim Rothgeb and William Baldwin. Color Guard inside Fort Griswold headed for the new viewing platform.